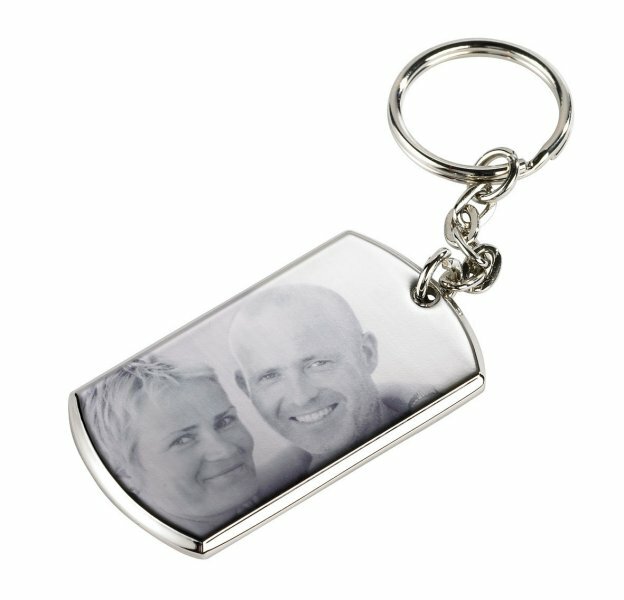 A beautiful engraved silver rectangle keyring. It measures 50mm x 30mm and comes presented in a gift pouch. For an additional charge you can have a second photo engraved so that you have a photo on each side. Please note if you choose this option you cannot have text too. The additional charge will apply once you upload your second image.